X's and O's are taken to a whole new dimension in this one of a kind strategy game. Players build a wall of bricks by placing their pieces on top of each other. The first player to align four of their symbol or color in a row wins the game and claims the wall! But watch out! Each brick contains both your symbol and color as well as those of your opponent. So each time you add a new piece, you risk helping your opponent win the game! 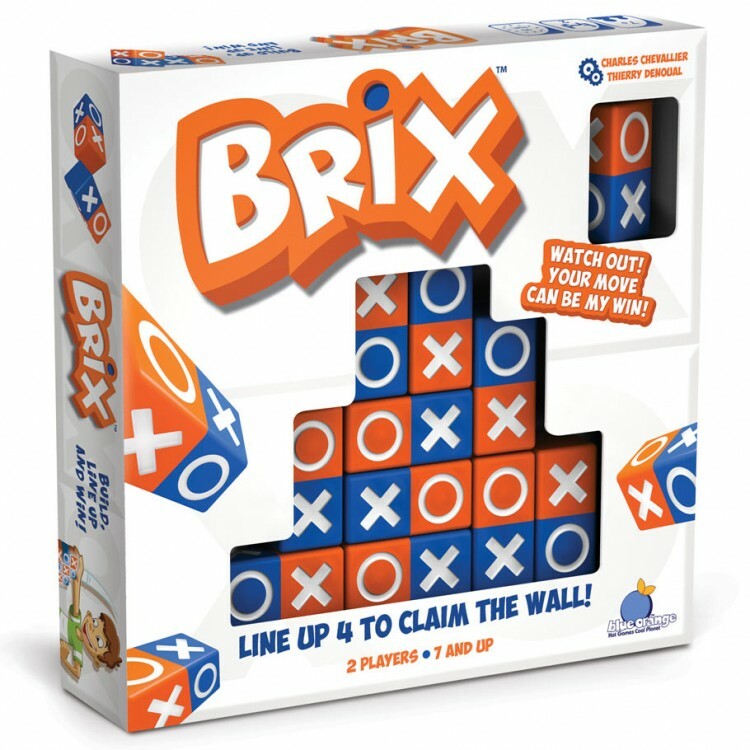 Brix is quick to learn, and takes a different shape each time you play.